This is a cute but sad story. 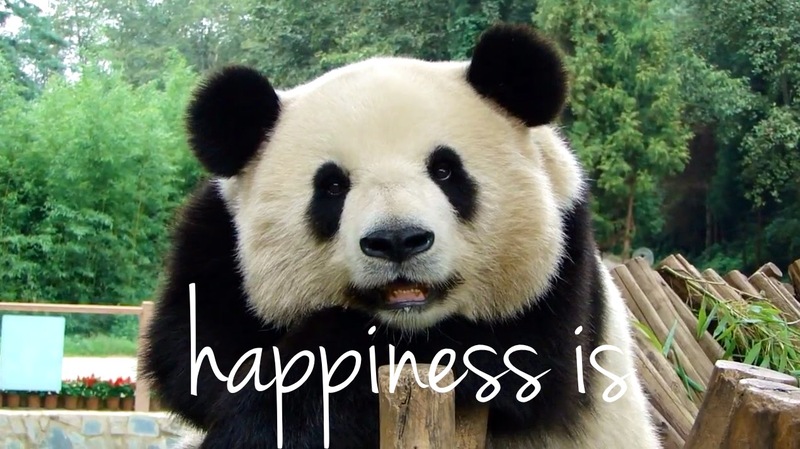 Remember Sijia, the smiling panda who lives in Yunnan? I used her photo for my post on happiness. I first came to know her through the video below. See that adorable, smiling round face seemingly unperturbed over anything. But apparently, Sijia not been smiling the past days since her childhood friend Meiqian returned to her hometown in Sichuan. The eight-year-old panda has lost her appetite and appeared depressed. The story even made it to the news: here and here. And here I thought that pandas are solitary animals by nature. That’s why at the age of two, the cubs are weaned and separated from their mothers because then they would start to fight over food. The only time that pandas spend time together in adulthood is when they mate which has a very brief window in a year and even then, once the female panda gets pregnant, she’s on her own. She does not see the male panda anymore, nor does the father have any role in raising the cub. In short, yes, they are loners. But Sijia appears to be different. And that video shows that she has a sociable nature. She’s not the smiling panda for nothing. So in order to cheer her up, the zoo put up a TV where they can play videos of her with her friends Meiqian and Qianqian, who had left earlier. They also gave her a swing and a panda stuffed toy the size of Meiqian. Oh will the cuteness with the sting in the heart ever end? Feel better soon, baby. Maybe the zoo should start mating her so she won’t feel sad. Who knows, Sijia will be one of those rare pandas that will actually have a successful married life. LOL.